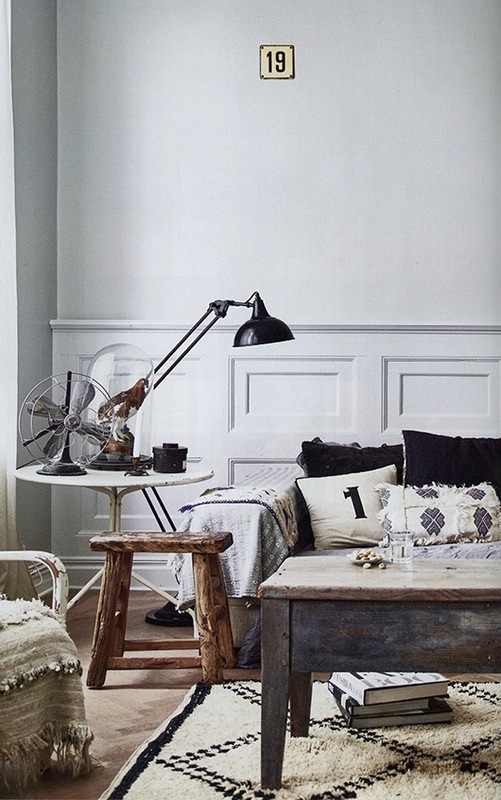 Bohemian styling with the necessary textiles & accessories to make a place homely & inspiring. 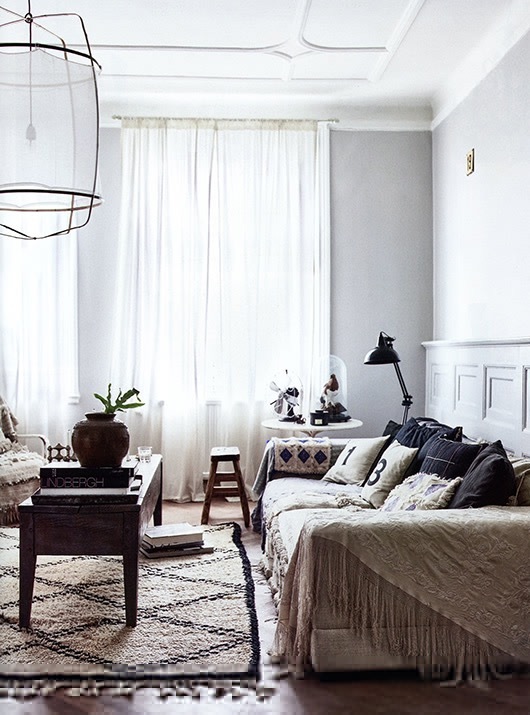 A cool home decor with bohemian feel, which at first glance is experienced as chaotic but has a clear structure. A collection of personal belongings that create a homely & personal touch. A wonderful welcoming place with lots of patterned quilts & lovely colors. A nice place to gather at, with no disturbing elements, for long conversations. Great bohemian feel! I found this post in my image library & I remember that I picked these pictures randomly, almost a year ago. I just left it, as it is, because I felt the topic was boring at that time. It’s sort of relevant again when my son started to talk about to redecorate his room. He soon begins at UNI & wants to set up his room so it work as he imagines it could work. I get shivers when he talks about bohemian influences & sees before me incense sticks, cushions & taped posters on the walls. It may sound prejudiced but it’s all about taste & nothing else. So I may as well accept the fact & just close his door, if it becomes unbearable.